HomeBlogCorruptionIs Bulgaria Losing the War on Corruption? Bulgaria is not only the poorest country in the European Union (EU) but also is the most corrupt; greater financial transparency would help address both challenges. Every year the country loses 14 and 22 percent of its GDP or $7 to $12 billion due to corruption. Corruption has been an issue for the government for decades which has hindered economic and social development in the country. Corruption within the Border Police is an example of long-established practices in Bulgarian institutions. Last June, 22 border officers were arrested and $38,000 in cash was confiscated in Southwest Bulgaria. 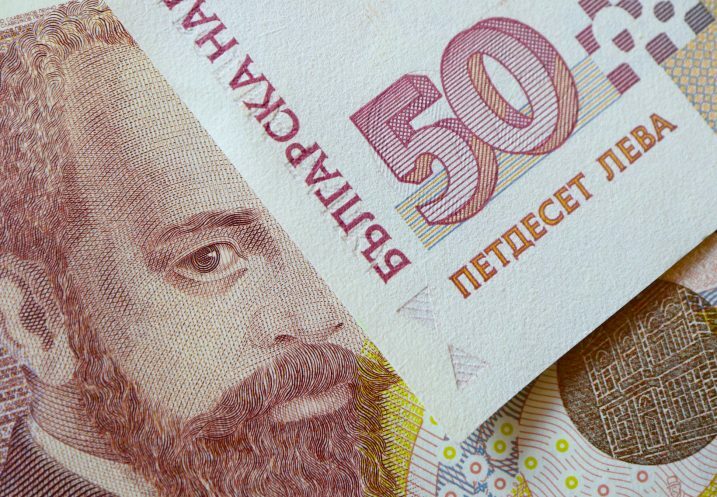 Persistent corruption in border posts together with the country’s location as an entry point to Europe make Bulgaria an important location for money laundering. The Bulgarian anti-corruption body (BORKOR) reports that responsible authorities in the fight against corruption lack the necessary level of expertise and coordination and that none of the related institutions are committed to investigating high-level corruption. The authorities prefer easy to prove, low-level corruption cases to complex cases involving organized criminal groups or high-ranking officials. The reason anti-corruption investigators are reluctant to pursue higher-level corruption is that they can rarely discover the target’s tax history or affiliation with political patrons. According to the Center for the Study of Democracy based in Sofia, the oligarchy in Bulgaria controls all key public institutions. Dishonest officials together with shady businessmen turned state administration, healthcare, education and the media into their own instrument for pocketing public funds. And because of involvement of high-ranking officials and powerful businessmen in the scheme and the lack of an independent anti-corruption agency corruption, spreads its roots deeper and deeper. Resulting widespread corruption had led to growth and vitality of the grey economy (i.e. the informal economy). The grey economy in Bulgaria is the largest in the EU and accounts for 30 percent of the country’s GDP. A study by the International Monetary Fund found that the larger is the grey economy the more it reduces state revenues. In turn, budget deficits result in the impairment of both the quality and quantity of publicly provided goods and services. Bulgaria loses one billion euros of state revenue annually due to the grey economy. Most of the proceeds from corruption and the informal economy activities are believed to be moved from the country to foreign accounts held by offshore companies. According to GFI’s recent report on illicit financial flows, over the last ten years $19 to $25 billion has been moved out of Bulgaria illegally (from crime, corruption, and commercial tax evasion). Unfortunately, government efforts to address the challenges of the grey economy have not been successful, and the anti-corruption system in the country is not effective. Bulgaria’s legal framework in anti-corruption is complex and enforcement is weak. For the sake of expediency, the government should focus on the strict enforcement of a minimum set of regulations, rather than on increasing the number of new regulations. The Bulgarian government has not yet adopted the draft of anti-corruption law or set up a responsible unified authority despite recommendations by the European Commission. The recent EU report on progress in Bulgaria found the country’s anti-corruption institution disintegrated and not effective. Further, although Bulgaria signed the United Nations Convention against Corruption (UNCAC) in 2003, which obliges participating countries to create a special law enforcement institution to fight and an administrative institution to prevent corruption, the government has not followed through. The creation of an administrative body to oversee integrity, conflict of interests, and assets of government officials as called for by the UNCAC can be effective in the prevention of corruption. Nevertheless, best practices in different countries suggest that criminal justice should be the main instrument in the fight against corruption. A study by the Institute of Market Economics (IME) suggests that the low results in prosecution of corruption cases in Bulgaria is linked to a lack of reforms in the criminal justice system. The over-centralized structure of the Prosecutor’s office leads to lack of initiative in the system. The IME study also argues in favor of establishing an independent anti-corruption institution in the prosecution system. For this institution to be effective however it needs to specialize only in anti-corruption efforts, be autonomous, accountable, and transparent, and possess sufficient human resources. The prosecution and law enforcement system should undergo reforms to match international standards and create an independent anti-corruption agency. Additionally, administrative measures are necessary to monitor integrity, conflict of interest and assets owned by public officials. With these reforms in place, the government will have a powerful tool to eliminate corruption in its institutions, and billions of dollars lost to corruption will be invested in education, healthcare, and other public services. And Bulgaria will finally be able to address country’s two other biggest issues: the informal economy and poverty.